The supporter jerseys have arrived and are on sale with Prendas Ciclismo. Made in Italy by Santini this is a lightweight jersey for summer. Their website has more pictures and if you’re tempted, check their sizing guide as this is detailed and helpful. If you’re still stuck, give the shop a call or send them an email as Mick and Andy of Prendas couldn’t be more helpful. If you are interested don’t wait because when the supporter caps were launched they sold out in a day. The price is £55 (roughly $82 / €76) plus postage. The colours are there… to add colour and they mimic the tones of the leaders jerseys in the three grand tours. The lightweight “Energy Microsense” fabric is designed for summer. If it helps mine weighs under 160 grams. It has a full zip, the classic three pockets on the back plus an extra zipped pocket on the outside. The Santini logo on the back is reflective, handy if you’re in an unlit tunnel while climbing a mountain pass. There are also matching arm warmers, see the Prendas Ciclismo website again. The supporter caps are also available too. 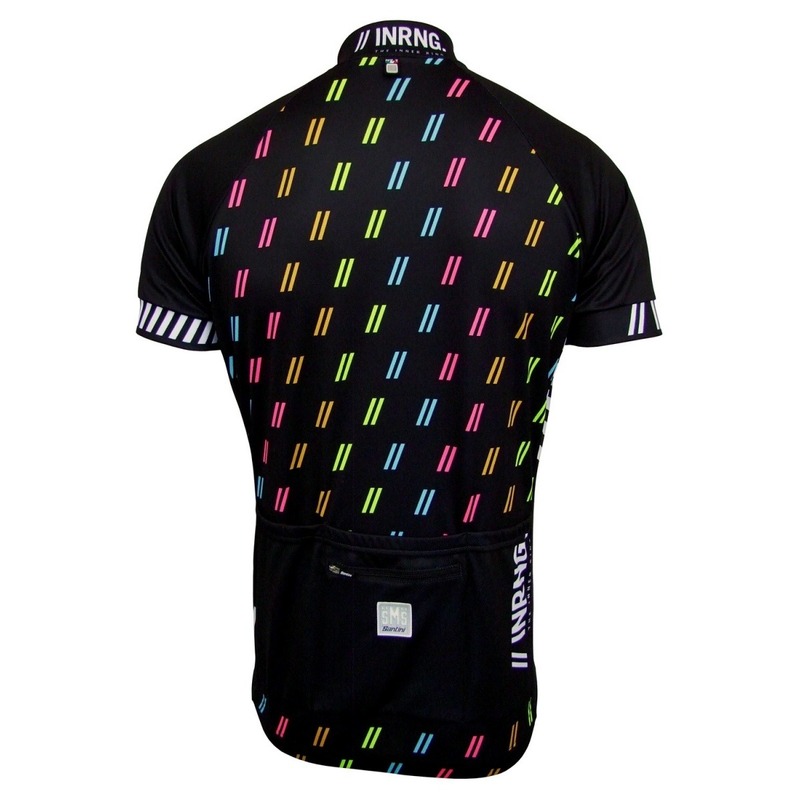 Sales revenue is split between Prendas and me so if you buy a jersey, armwarmers or a cap – or all three – you get some nice kit and also help keep the wheels of this website turning. Beautiful jersey, just ordered one. Thanks! It is isn’t it? Nice work INRNG! Order completed before they sell out again! And in southern climates. Nice and mild here today, but there’s been a nip in the air on the early morning rides recently. Long sleeve, super fine merino wool version would be great! Does anyone even make merino wool jerseys these days? Nice design, really like it! One note on the armwarmers, I think they have their sizing choice messed up as it’s the one you’d use for kneewarmers…. Mine arrived on Saturday, it’s very nice, the colour flashes on the back and collar are great. p.s. Great service from Prendas as usual. I’m the wrong shape for Santini jerseys by cap and warmers will do nicely thanks! Nice to be able to support your fine work Mr Ring. Cap and Jersey arrived Saturday. Great quality and design. Unfortunately didn’t get to ride it like I said I would on Twitter as the body length is too large for me, so I am going to try going down a size. Oh, I bought the socks, thinking you would get a part of the sale revenues too! Prendas should split the sales revenues on them too since they advertised them on the same page as the kit! INRNG socks – that match the jersey will be with us during May. INRNG receives a royalty on all products that bears the INRNG logo. How about some après ware from NINOX? how about a black and white jersey that matches the armwarmers? I’m not one to say this often but I really like the design – compliments to the designer and yourself (unless you’re a closet designer too?). Thanks, all credit goes to Fergus of Santini and Prendas, they came up with 99% of it. I saw those sizes. Do you think it says something about us? In the spirit of cycling fans who always speculate on what’s coming next rather than enjoy the here-and-now, I was thinking of a kind of INRNG compendium – a book of all the best bits over the last few years…. Seriously though (although that was semi-serious), it’s an honourable achievement to have got to this point from ‘just’ writing a blog about something. Chapeau, and long may it continue. ordered mine last thursday and it’s waiting for me in the UK. can’t wait to pick it up in a couple of weeks time. 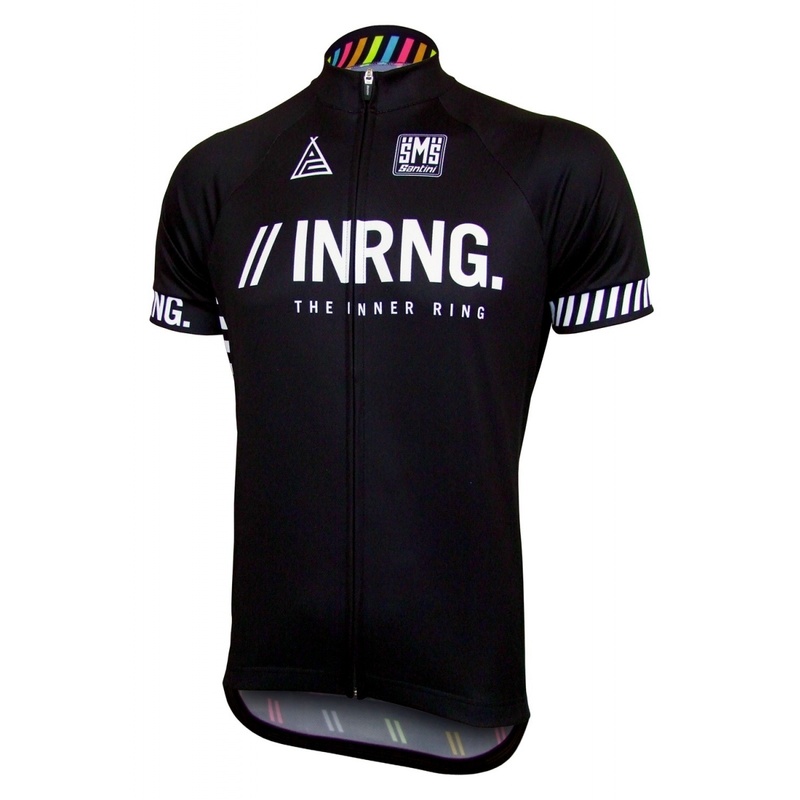 thanks INRNG for this blog, I was in the market for a new jersey anyway and the awesome design made it an easy choice. I noticed these on their website last week and placed an order during the weekend having missed out on the cap launch last year. It’s some good looking kit, so well done to all involved. Pls see my comment below – we have re-ordered! Great stuff. Ordered mine (and arm warmers). Now to run the gauntlet with the ever unreliable Santini sizing…. Some fairly easy extras: bidons, bar tape, cloth bags, gilets…. get this working right and you could be the best funded cycling site on the net! I look forward to giving fellow INRNG jersey wearers a respectful wave on the road. Ha, never say never but the caps, armwarmers and the jersey and maybe some socks sometime for now. The requests for long sleeve tops above are noted too. I signed up for the notification and missed the boat anyways! Pretty please, Mr. INRNG and Prendas, make more! Seems they’ve sold out already. Pls see my comment below. 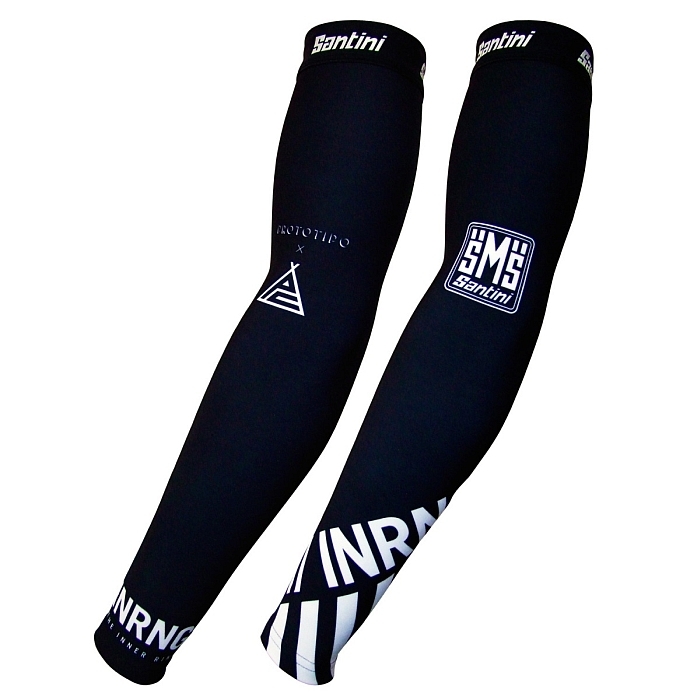 Nice arm-warmers, ordered them one day, they were here the next, just in time for a 5 degree start, so much appreciated! A few weeks ago I bought an Euskaltel hoodie from Prendas. Sizing wasn’t right for me so they swapped it in 2 days! Great service Prendas, thanks. And great that Prendas and INRNG have hooked up – in the age of internet giants, long live the independents!! Thanks for the kind comments GingerTart. Mr INRNG, it would be interesting to know the countries where your loyal readers are based, and % of total per country. Are you able to share this info with us? It varies. The US and UK have the bulk of readers with plenty in Australia, Canada, Ireland and New Zealand along with all the European countries, an obvious English-language factor at play. Each time I’ve looked things move up and down. Once again, thanks for supporting our line of INRNG products. The demand in certain sizes has outstripped supply – so we have re-ordered today and will be looking to fulfill the demand for more smaller sizes at the end of June. I appreciate that it maybe disappointing for those of you that missed out first time round, but we ordered what we considered to be appropriate quantities. If you do wish to be notified of the new delivery, you are most welcome to sign up for a stock notification that we have put on the product page. The level of interest will of course further guide us on the re-order quantities. INRNG socks – that match the jersey – will be with us during May. Thanks for setting up the notification list, it’ll be a good way of letting us know they are back. Just got mine. Lovely. Now to recover from this knee injury so I can use it. Maybe you’ll have matching bib shorts by then. Please. Nice looking jersey but I don’t understand how the colours reflect the leaders jerseys from the 3 grand tours? Unless my eyes deceive me there are 4 colours there. It’s among the colours or at least that was the idea with the gold, yellow and pink, the blue is a bonus. Blue for the leader in the mountains in the Giro? Ordered my medium earlier this week, it arrived the following day. Beautiful jersey, very happy to support inrng, and Prendas (as always, outstanding). Re sizing and stock: I can see that it’s good to have lots of sizes, but surely there’d be much more demand for S, M & L, than there would be XXXXXXXXL? I’m 6’2 and 75 kg and a medium fits perfectly. Who on Earth needs 8 x XL? There probably has been, I’m sure the order tapers off in quantity the more the number of Xs in the size. Those are your stats and you wear a medium? Wow, I really over estimated. I looked at 41″ on the chest size and ordered an XL and I’m much smaller than you. Oh well, guess I can always return and re buy when they get in smaller sizes. Beautiful jersey and armwarmer. But what about the bibs? Great looking Jersey – sorry if someone has already asked this one but are there any plans for a female fit version? I’ve had some other requests and will ask Prendas about it. Great looking jersey and will catch the reorder. I like the black but am curious if other colors might be in works. The caps are in black and white of course, and I really like the white. Make the jersey in white and I at least will snap it up.